It began with a sin, committed by Kenshin, back during his bloody days as hitokiri or a government-sanctioned slayer of men. 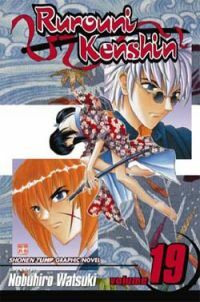 Although stopping most of the assassins who still come seeking revenge should be easy enough, what of the innocent Sanosuke and Yahiko (Kenshin's comrades), everyone at Akabeko Inn (Kenshin's friends), Kaoru. For once there was another love in Kenshin's life, one which-given his nature-must by definition have been tragic. Can Kenshin escape the shades of his past, and find the will to fight for the real world for the living for reality? !